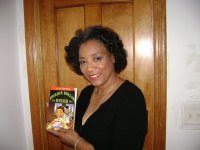 Arlene Jones - Featured Columnist Austin Weekly News: All Crime are based on Hate! We live in a pluralistic society. We are from different races, cultures, ethnicities and sexual orientations. It would be nice to claim that as a society, all of our interactions are as varied as the members of this society. But it is not so. When anyone in this society is the victim of a crime, is there ever a time when, as the victim, you don't feel that the perpetrator hates you? Sometimes they hate you just to rob you. Other times they hate you just to kill you. There is no way the victim can feel anything but hatred coming from the perpetrator when they are on the receiving end of a crime. Several years back, an additional level of criminal complaint was added to the law. Many blacks pushed for "hate" as an additional level to charge in a crime. Now, I can understand why there can be degrees of murder. The levels, like first degree or second degree murder and involuntary manslaughter, are based on the intent or lack of intent in the killing of a person. There is a difference between purposely running over someone with a car or accidentally hitting them with a car. In either scenario, the person ends up dead. But can we really take something as intangible as "hate" and make it a multi-dimensional level to a crime? Because for "hate" crimes to work, there has to be a difference between the victim and the perpetrator with respect to race, culture, ethnicity or sexual orientation. Otherwise, 100 percent of the murders committed by blacks against other blacks should be a "hate" crime. As blacks, we look at each other more than any other groups in terms of skin color (light-skin or dark-skin), hair texture (nappy hair or "good" hair), or some other physical characteristic (fat, big lips, flat behind, etc.). Any of those comments could be used to construe an underlying reason of "hatred" in the contact between the victim and the perpetrator. And blacks cannot expect to be viewed solely as the recipients of "hate" crimes when it comes to differences of race, culture, ethnicity or sexual orientation. We can be the perpetrators of them as well. Two cases came to my mind when I thought of "hate" crimes. One is the case of Brandon McClelland out of Paris, Texas. Brandon was a black man who was out drinking with two white friends when something went wrong. Brandon left the truck he was in and those white friends ended up running him over and dragging his body for miles. Brandon's mother wanted the two white perpetrators charged with a "hate" crime. On the surface it sounded similar to the James Byrd case where he too was dragged to his death. Except when it came to Brandon, he had been friends for years with the two accused of killing him. The friendship was so close that years back, Brandon had been in a car with another white friend and that white friend ended up getting shot in the head and killed by Brandon. When that happened, one of the two men now accused in Brandon's murder lied for Brandon to protect him and ended up serving time in prison for telling that lie. Brandon was never charged with a "hate" crime in killing the white friend, so it made it difficult to charge the white friends with a "hate" crime when it came to Brandon. This weekend while at an event in Michigan, I was joined at the table by a woman who I had casually met previously. As I looked at her face, it was black and blue. Her hand was wrapped in a cast. She looked like the poster child for a victim of domestic violence. She knew her face looked like hell because she immediately said, "I'm the one that has been on the news. You know, the bus driver attacked by a student." I had to admit to her that I hadn't seen the video, but as soon as I got home and saw it on the Internet, that attack was pure hatred. To see the video of the attack, please visit my blog. Watching the attack wasn't easy. And because the audio was working, I got to hear what was said. As I listened and watched, it became clear that because he mentions her race, his beating of her could be labeled a "hate" crime. But had he said the same thing to a black bus driver, no "hate" charges would have been filed. As this country moves forward, let's make a crime a crime without the hate label because "hate" is at the foundation of all crimes. I read this article in the Austin Weekly News and just wanted to comment on the use of the word "race". Why do people have to distinguish in that manner? We are all part of the HUMAN race. We need to stop using that word the way so many do.